Join Santa at 110 W. Main Street starting on Saturday November 24th through Saturday Dec. 22nd. 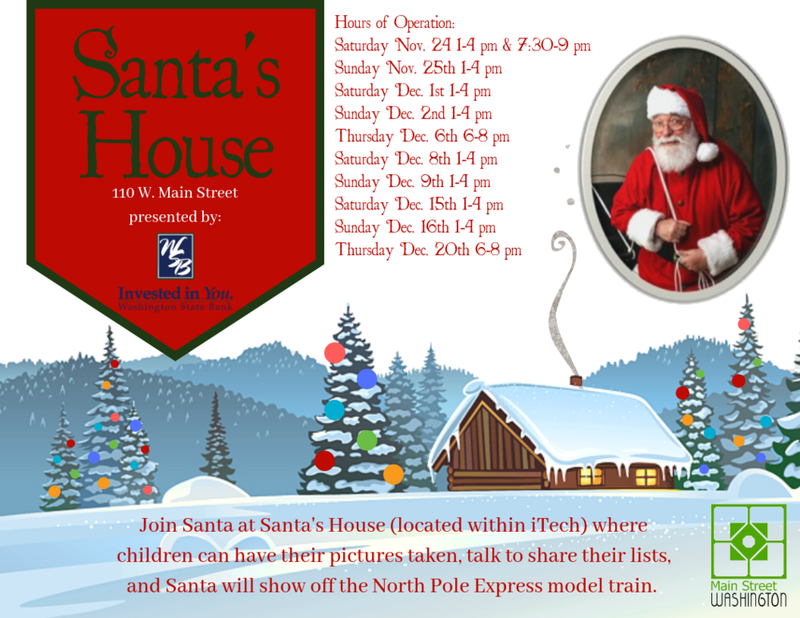 Santa will be available to chat with children, take their holiday wish lists, take pictures, and show off the bigger and better North Pole Express model train. Santa’s House is presented by Washington State Bank.